Lundstams Återvinning AB, founded in 1949, provides modern-day waste management and environmental services to companies and municipalities in northern Sweden. Sustainability and the environment are in focus in the company's daily operations. The robotic sorting line is expected to increase the overall material recovery and secure the quality of sorted fractions. Additionally, the need to transport waste decreases when waste can be processed closer to the source. "At Lundstams we're determined to work towards improving material circulation. This is a great opportunity to make better use of materials that were wasted before", Mattias Marktin, CEO at Lundstams, explains. 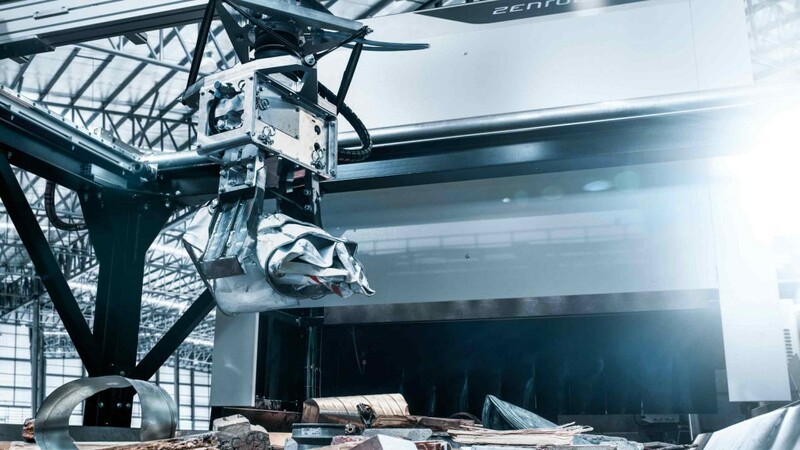 The new robotic sorting line will automate and advance the company's waste sorting operations in Östersund. The investment in robotic waste sorting was well received by the local municipality that granted project financing. The municipality considered it a "climate-smart" investment and an exemplary case of combining environmental benefits with new business opportunities. "By improving our resource recovery we can offer high-quality products and services to our customers. Furthermore, we want to help our customers in becoming the best recyclers and with the most advanced technologies we can do just that", Mattias Marktin, concludes. ZenRobotics' Swedish partner Mared AB will deliver the new robotic sorting line which will be the second robot line in Sweden. "Sweden has one of the highest waste recovery rates in the world but there is still a lot left to be done," commented Mats Mared, CEO at Mared AB. "Lundstams is one of the progressive recycling companies in Sweden and we're proud and honored to have been chosen as their supplier. We look forward to realizing this high-end project together with them."